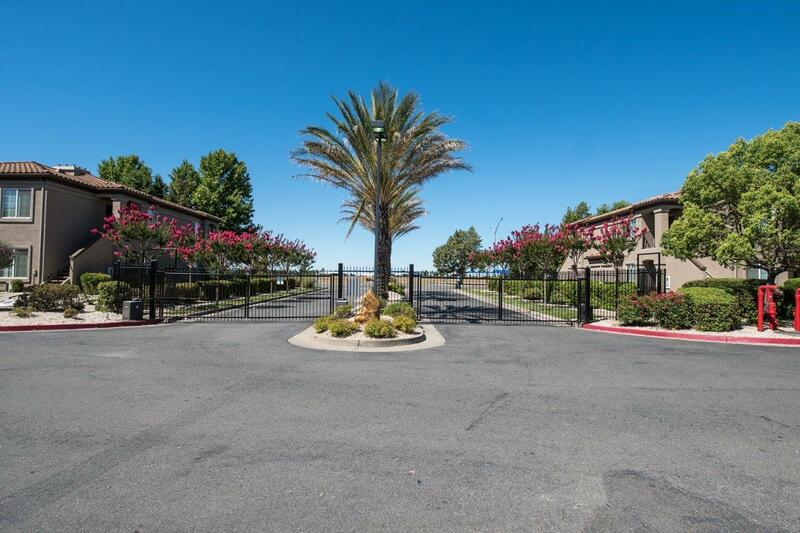 Why rent when you can own this turnkey condo with two bedrooms, 2 baths featuring granite counter tops, private covered balcony/patio located in the upscale gated community of Bella Rose. Clubhouse with heated pool, spa, media room, BBQ area, Gym and Tot Lot. 1 covered carport parking space and 1 uncovered parking space and storage shed. Centrally located with easy access to freeways. Includes washer/dryer and refrigerator and brand new carpet. Hurry on this gem!!! !